The automated system allows for online payment of tickets for a range of bus journeys, with options for individuals to personally print out the e-tickets for presentation at the beginning of the journey. In March 2011, the company&apos;s specialists received a gold award for the design, development and implementation of the service. 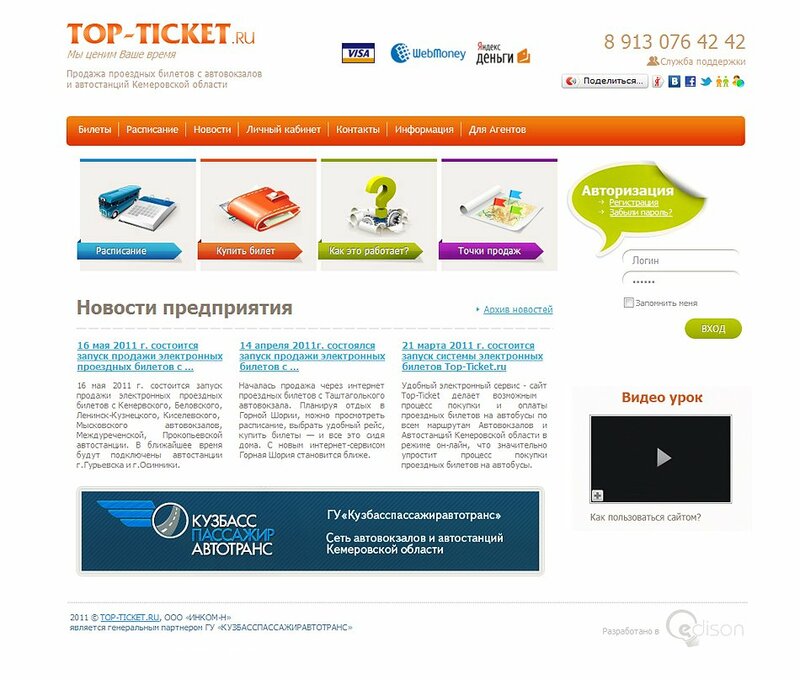 The online shop accepts payment from anywhere in the world, and provides the main interface for online ticket sales. The integration with bank payment systems guarantees security of payment. The shop allows for simultaneous purchase of outbound and return services, including en-route transfers and multiple tickets. The online shop also displays a full timetable of departures and arrivals, well in advance, covering all the routes available for purchase. Timetables are updated on the site as and when changes are made. A further advantage is the possibility of purchasing travel documents for disabled customers without leaving the house. Payments can be made via SMS, e-money or any type of bank card. The online payment system is closely integrated with the existing company payment system and so information relating to sales is recorded in the same way as before the integration of the e-ticketing system. Timetables, recent news and other important information can be viewed without registration – photographs and historical information about areas along the travel routes are available, as well as relevant promotions. Registration is, however, required for the purchase of tickets, though this will also allow users to view and make comments on the website. As well as private individuals, e-tickets can be sold via partner companies or organizations on mutually beneficial terms – there are specific contracts on the website which can be filled out by agencies for bulk purchase of tickets. The customer base for the given travel routes has expanded significantly due to the number of internet users purchasing tickets and the ability of agencies and organizations to buy group tickets. The architecture of the site means that affiliate transport networks can be added to the e-ticketing service, allowing for increased sales volumes and greater site traffic. 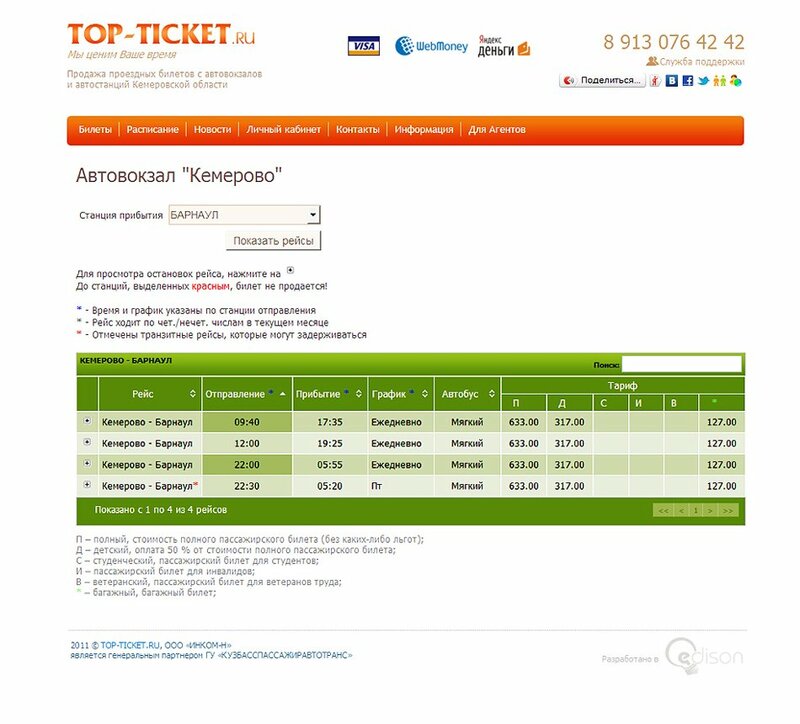 An online shop was developed to handle e-ticket sales for intercity bus routes. Information on the website includes a detailed timetable of all bus routes and transport interchanges. By filling out a specially-designed form, users can book e-tickets directly from the website. Payment options include e-money services, VISA and MasterCard. Coded in pure ASP.NET + MVC. 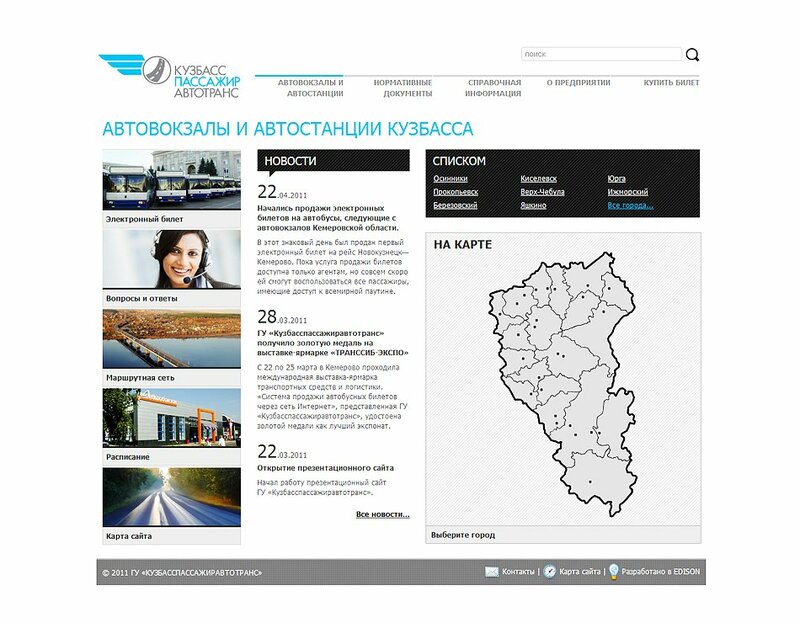 Automotive passenger transportation company, which operates intercity bus routes, approached us with a request to develop a new corporate portal. The aim was to enhance communication and interaction between the enterprise and its customers. Information on the portal includes: bus timetables, regulatory documentation, and a brief company history. There is also a flash-map feature which allows users to select their preferred bus station, view the timetable and choose the best bus route. 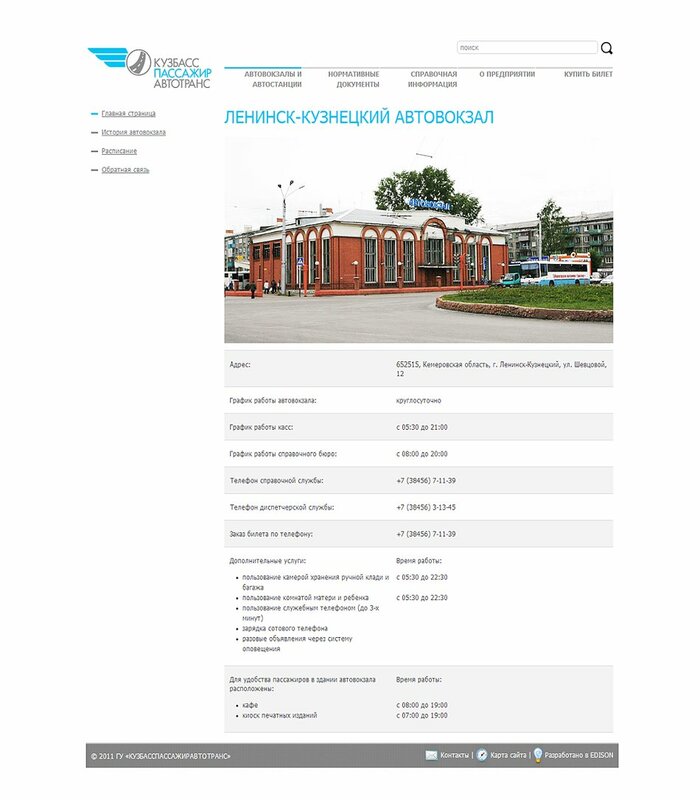 The portal has a separate webpage for each bus station and has been done on Drupal.